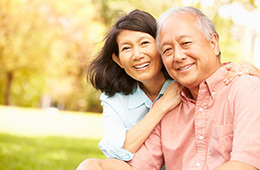 The purpose of RHF Charitable Foundation is to provide financial support to Retirement Housing Foundation (RHF), a California Non-profit Public Benefit Corporation. Minneapolis-based U.S. Bank provides a comprehensive line of banking, brokerage, insurance, investment, mortgage, trust and payment services products. Working together, they develop creative solutions that maximize human and financial potential. For more information, visit them at usbank.com. MUFG Union Bank is committed to investing in its customers, communities and employees. As a full-service commercial bank, they provide an array of financial services to individuals, small businesses, middle-market companies, and major corporations. For more information, visit them at unionbank.com. For over 60 years, California Bank & Trust has helped generations of Californians grow and prosper by creating successful banking relationships one client at a time. Committed to delivering the personalized service you’d expect from a local community bank, they offer the comprehensive solutions available at major financial institutions. For more information, visit them at calbanktrust.com. Focused on complex civil litigation and family law, Reuben, Raucher & Blum is regarded as one of the top legal teams for those seeking sophisticated legal advice and counsel. Offering service comparable to that found at larger firms, they aim to obtain the best possible results for clients while providing excellent value. For more information, visit them at rrbattorneys.com.